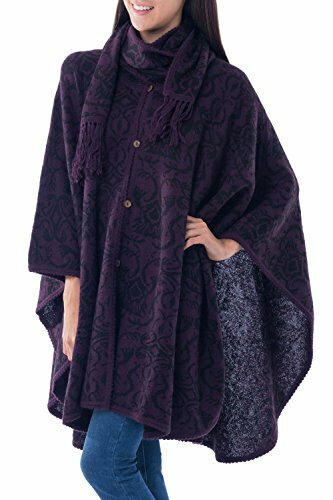 About this item: Peru's Alfredo Falcon design this warm ruana cloak that closes with coconut shell buttons. Featuring an integrated scarf, the purple ruana is adorned with florid black arabesques. The cloak is knit with a rich alpaca blend to ensure a soft and stylish warmth.